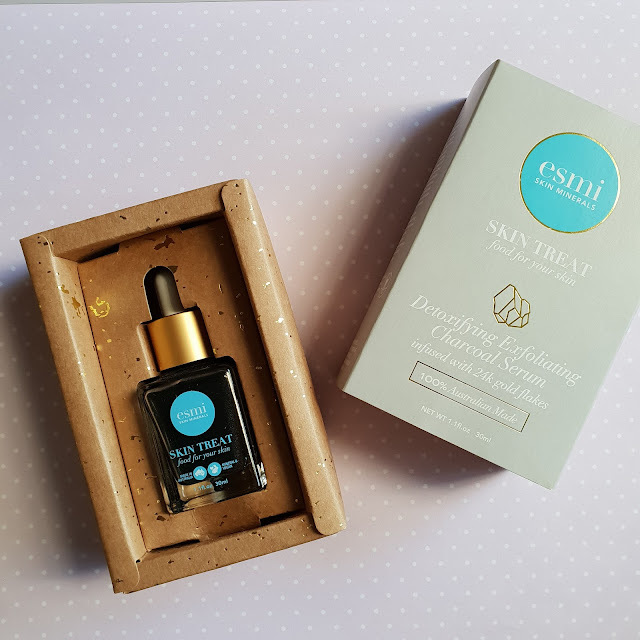 Recently I was contacted by esmi Skin Minerals to have a go of their new Skin Treats range. Treats? In the immortal words of Rex Manning, say no more, mon amore! 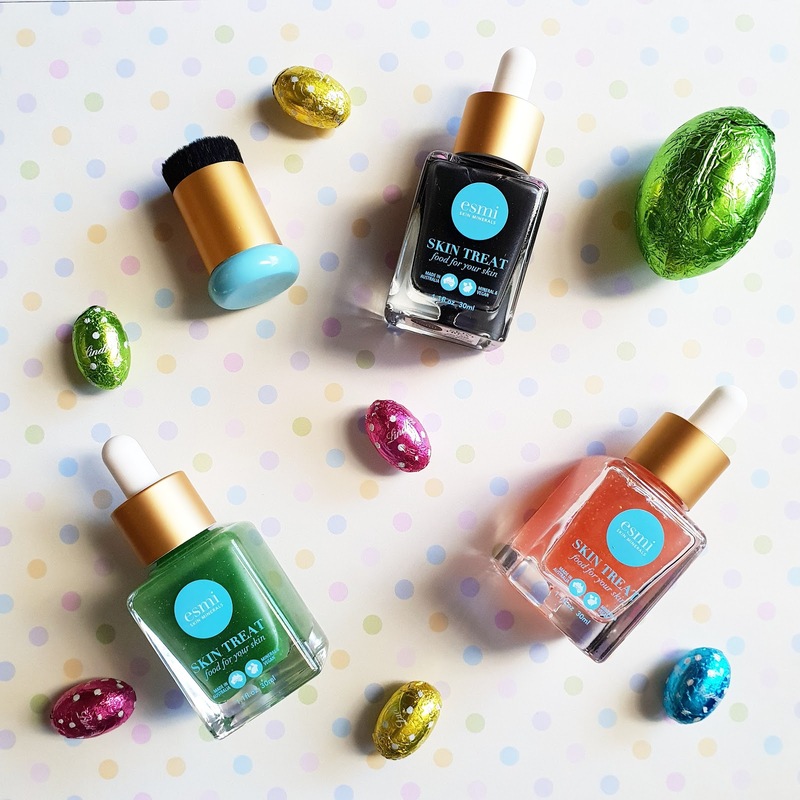 Beautifully and luxuriously packaged, these vegan mineral concoctions really do look and feel like treats - AND they're good for you. Bonus. 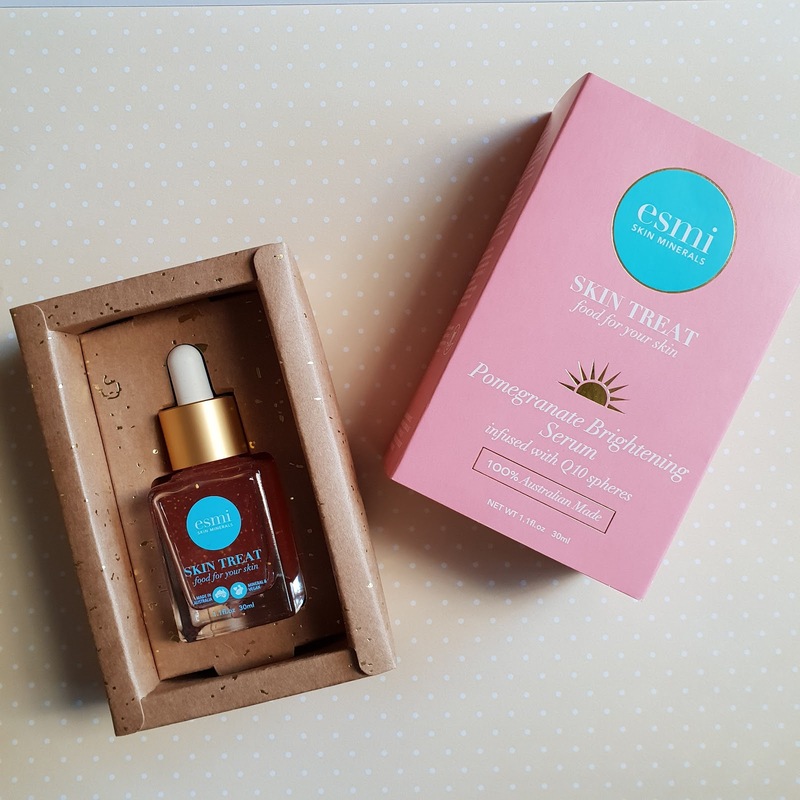 esmi (pronounced Esmay, as in Watson) are an Australian company who make their goodies right here, cruelty-free and are about delivering great results without compromising skin health or ethics. This is applied with a cute, stubby little brush (see main photo) that is currently included with purchase and features some 24 carat magic! As disappointed as I was to not have a gold glittery face after application, you can definitely feel it working with a slight tingle to let you know there is some exfoliation at work. No smell to speak of. Designed to brighten, energise and feed the skin, this serum may also prevent excess pigmentation. As someone who has melasma on the face, this is indeed of interest to me. Again, no real scent to speak of but a lovely texture on application. This product smells deliciously minty fresh and as the name suggests, aims to combat redness in the skin and provide a cooling and calming situation for the face. Again, this is particularly relevant to me as I'm having laser treatment for said melasma so I will be definitely smashing this on after my next sesh. I try not to touch my face too much as a general rule, but after using this combination of serums for a few nights, this proved difficult as my skin felt soft and smooth and looked lighter and brighter. As I say, I *am* having this laser treatment so your results may vary but if you're looking to treat yo' self and yo' skin, these are definitely worth looking into. 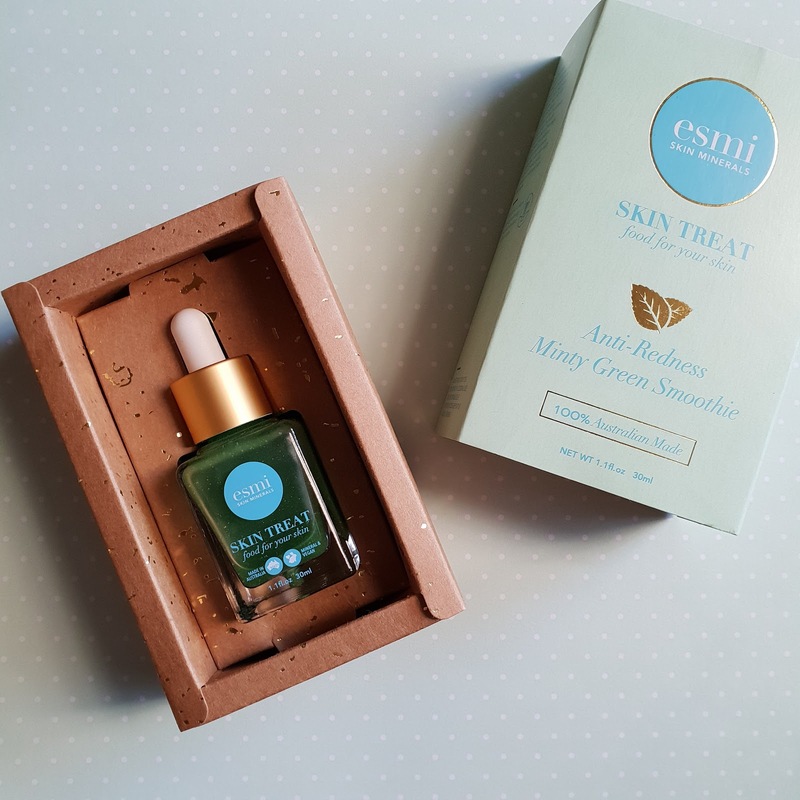 Skin Treats kindly provided by esmi Skin Minerals for review. All images, opinions and melasmic foreheads are my own and authentic. For more information, please see my PR and Media policy.